Pu-erh tea is a healthy beverage used for many years in Chinese medicine. The tea has shown positive results when it comes to fighting excess fat in the body. When cooked, this tea keeps your stomach warm. This makes it a great choice to take especially in chilly weather. On the other hand, fresh tea has a better effect on weight loss than the cooked tea, as it has a stronger taste. Before explaining how Puerh tea can help you in losing weight. It’s nice to know that the Pu-erh tea only boosts the chances of success in your efforts you are making to lose weight. This simply means for the tea to help you lose weight. You should be on a healthy diet and perform exercise regularly. When do I Drink Pu-erh tea to Help me Lose Weight? 1 When do I Drink Pu-erh tea to Help me Lose Weight? 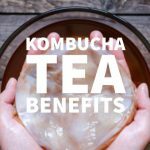 1.5 What Diet Changes Do I Have to Make When Taking Pu-erh Tea? 1.6 How Long to See Positive Results? As mentioned previously one of the main properties that makes this tea ideal in weight loss is the fact. That it assists your body to metabolize fat around your tummy. For this reason, researchers recommend taking this tea about 30mins to 1 hour after taking a meal. Unlike other teas that help in weight loss. 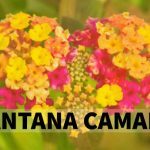 This tea has effective results when taken after a meal rather than before. When you take the tea before your meals, it will metabolize the fat in your stomach, making your appetite to increase. This is the reason, you can end up gaining more weight instead of shedding the extra pounds when you consume if you do not follow the right timing. Make sure you take this tea after a meal so that it enables metabolize the fat and grease of the food that you have just consumed. 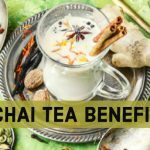 The following tips will help you in boosting the chances of success when using the Pu-erh tea to lose weight. The first thing you should do is to tailor your diet to your body. Instead of focusing on how to lose a lot of weight in a few days. Instead you should focus on losing healthily by gradually losing weight over a longer period. Similar to other traditional ways of losing weight. It takes time for you to start noticing changes in the body weight. Although you will not see the effects immediately, you will notice an increase in your energy levels. Thus your overall health improvement. 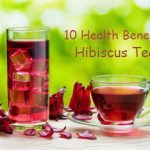 While you are trying to lose weight by drinking this tea, you should make sure you have included health foods in your diet. Such as fresh fruits, salads, and vegetables and restrain yourself from consuming junky foods. Once you have attained the weight loss goal. Then you can resume your normal diet and continue drinking the tea for you to maintain your figure. As with all, the other weight loss programs you will boost your chances of losing weight. When you combine using this tea with a healthy diet and regular exercise. 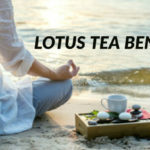 When you begin to take this tea, it s normal to feel hungry faster, but you can calm the hunger pangs by taking salads, fresh fruits, and raw vegetables. With time, your stomach will get used to your eating regime, and you will no longer feel the hunger pangs. What Diet Changes Do I Have to Make When Taking Pu-erh Tea? Since the tea works by metabolizing the fat in the body, you need to make diet changes as a way of compensating this. As mentioned earlier, this tea works by metabolizing the fat in the stomach. Hence by so doing you start feeling more hungry. To curb this, you need to start eating food that contains lean protein. How Long to See Positive Results? Most individuals do not get instant weight loss. This is because this tea works naturally to your body removing the excess fat in your stomach. However, you need to ensure that you have maintained a healthy diet and regular workouts. If your main aim of consuming this tea is to lose weight and uphold a good shape. Then you should substitute all the other beverages with Puerh tea. As an alternative to drinking water or soup, you should take this tea. 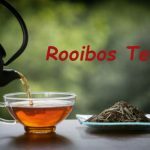 The great news about taking this tea is that you can still lose weight without restricting food intake. The Pue rh tea is available in two types. These are the ripe and raw Pu-erh. Although both of them will work to help in weight loss the raw tea works faster than the ripened. However, the raw tea has less stimulation for the stomach. On the other hand, the ripened tea is gentler to your stomach and helps in keeping you warm in cold weather. Experts suggest taking both the raw and ripened tea interchangeably. For instance, during mornings you can take the ripened tea to warm your stomach. You can take the raw tea after lunch to remove the fat and excess calories. Additionally, you can take a cup of ripened tea after supper to keep you warm during the night. Doing this will help you in getting rid of excess weight faster and naturally. Additionally, if you were the type of person, who likes to enjoy themself. You would not want everybody to know that you are on a diet; you can drink the Pu-erh tea soon after consuming food. This will allow the burning effects of the tea to remove the excess fat and toxins from your body. You can brew the Pu erh tea multiple times using one tea bag. You should begin your brewing with at least one gram of Pu-erh tea in one cup of water that is boiling. For the initial cup, you only need to steep it for 20 seconds. For the second as well as subsequent brewing, you should add at least 15 seconds to every brewing after the first time. Note, the superiority in quality of tea determines the number of times. That you can re brew the tea, with the best quality letting you use one bag for more than ten times. Pu-erh tea is one of a number of Popular Herbal Teas for Slimming. The taste of this tea is very different from that of the Oolong and green tea. You will get used to the taste quickly as it is not that bad. You can take it pure or add a sweetener such as honey if you like. The flavor of the tea is usually formed during the pile fermentation. This tea is available in six main species of tea. These include cakes, Tou cha, gourd shape, as well as bricks. When storing this tea, you should be extra careful as exposing it to air will lead to oxidation. ruining the overall taste and special ingredients that help in metabolism. There are many other advantages that come with consuming this tea. First, the tea has shown positive results when it comes to stimulating your nervous system. The tea will help in increasing alertness of your mind, metabolism, as well as blood flow. The tea also boosts your body energy giving you the necessary energy you require to perform regular exercises. Sometimes, it is hard to drag yourself to a gym especially when you had a busy day at work. To kick this laziness, taking the tea will stimulate your mind and give you the energy you need for workouts. Another benefit that comes with this tea is that it helps people with diabetes to regulate their blood sugar level. This effect was first shown by research done by the department of Life science in China on rats. These rats were encouraged to drink the Puerh tea(1). The study also indicated that the rats who consumed this tea showed reduced levels of bad cholesterols. This means that this tea may also lower the bad cholesterol in human body. Despite the fact that there are some other teas that help in weight loss. Pu erh tea has been used for many years in Chinese tradition indicating the many benefits that come with the tea especially in losing weight. Considering the fact that the tea is a hundred percent natural. Then you can enjoy the benefits without risking the side effects. That come with the diet pills which claim to help you lose weight. It’s my belief that this is the best solution for individuals who would want to lose want and maintain a perfect shape naturally. Moreover, preparing the tea is very simple. It is also readily available and very affordable. 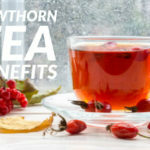 You just need to ensure that you have taken it at the right time, and you can enjoy the various benefits that Pu-erh Tea offers. If you found Pu erh tea for weight loss informative then also see Green tea for weight loss.